Yes, we are doing this. Using Statistics as reasons and somehow to laugh/accuse/pity the others … If you (people) are 51% are doing this stuff than … well, i got an idea … Living inside EU puts alot of statistics on the table and they are used in political ways not cohesion , but this is another story. The source …. well, i was giving some trust to WEF, i will still do but with more retention in the future. 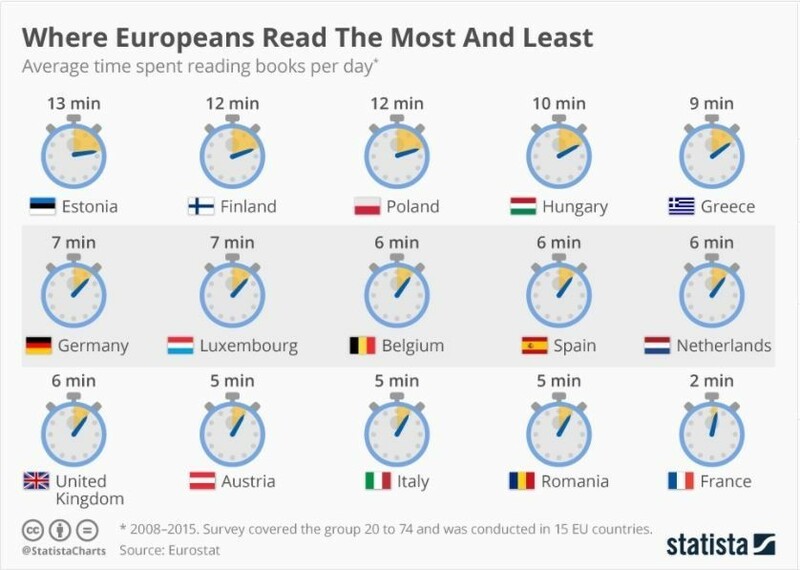 And even Estonia that is 13 min/day i think is not at real value. Remember this small country where 90% are in towns. Only the activities of kids in the schools are propelling this statistic. © 2011 - 2019 Le Claude — All Rights Reserved.